Photo: Kayaking in Vang Vieng. With six lovely bungalows surrounded by a beautiful garden, rice paddies and cliffs, Lao Valhalla is well worth the one kilometre bike ride from town. 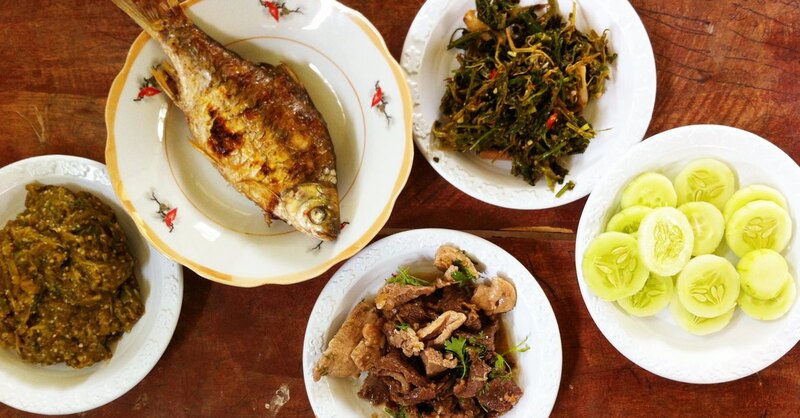 Hardworking owner Nout gives guests true Lao hospitality, and her disarming friendliness and genuine care is heart warming. It’s a wonderful feeling and a rarity in this jaded over-touristed town. learn to cook your favourite dishes. Cool off and chill out. 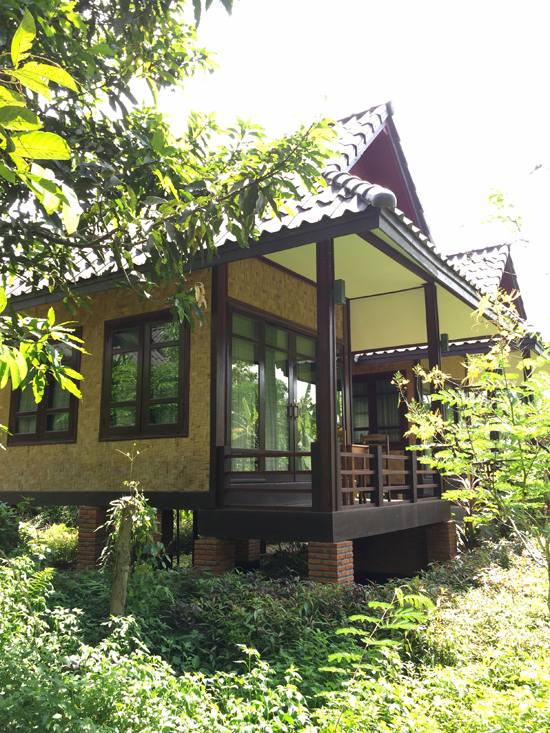 Opened in 2014, the six bungalows feature a mix of stone, wood and bamboo thatch, with plank floorboards. 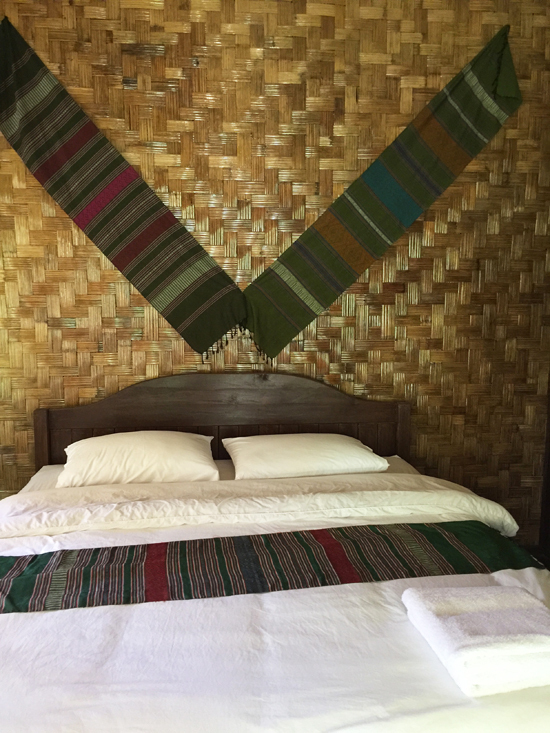 Unlike some of the other bungalow accommodation available in Vang Vieng, these buildings feel sturdy and solid without sacrificing the natural feel. Bamboo thatch walls and plain white bed linens are spruced up with colourful bed runners and textiles on the wall to give it a splash of personality. The large windows and glass front doors bring in a lot of natural light which makes these modestly sized rooms even bigger. Each room comes with a desk, a table and chair on the porch and a clean, tiled modern bathroom with hot water shower. Our only gripe is that the front porch and glass doors should have been designed facing behind to the dramatic mountains. 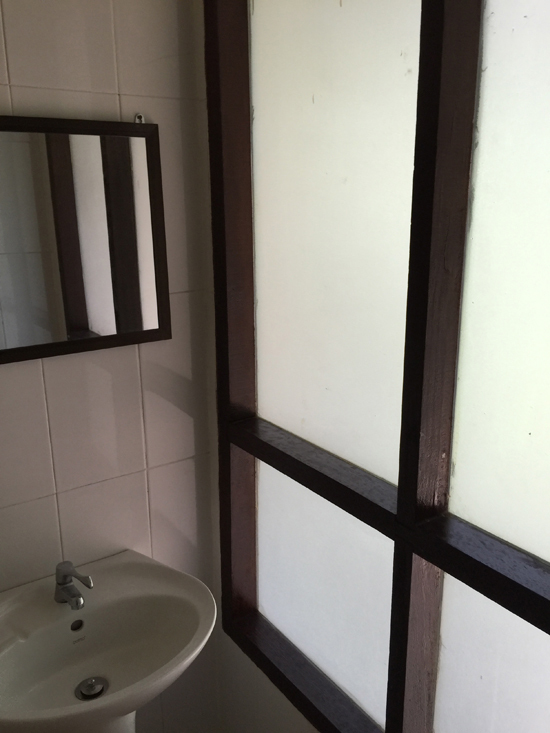 For US$15 a night, there are no complaints about these sparkling bathrooms. The shaded restaurant is a great spot to hang out, use the WiFi and enjoy a meal, even if you aren’t staying at the hotel. 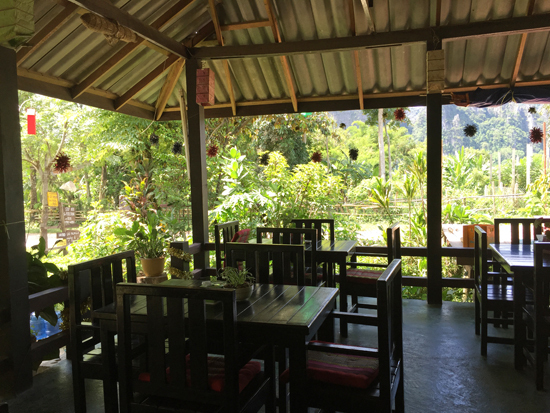 Its location west of the Nam Song River, on the way to the blue lagoon and many caves, makes this an excellent pit stop for a reviving fruit shake, Lao coffee or a meal. Breakfast is included in the rate and it may include seasonal fruits straight from the garden. 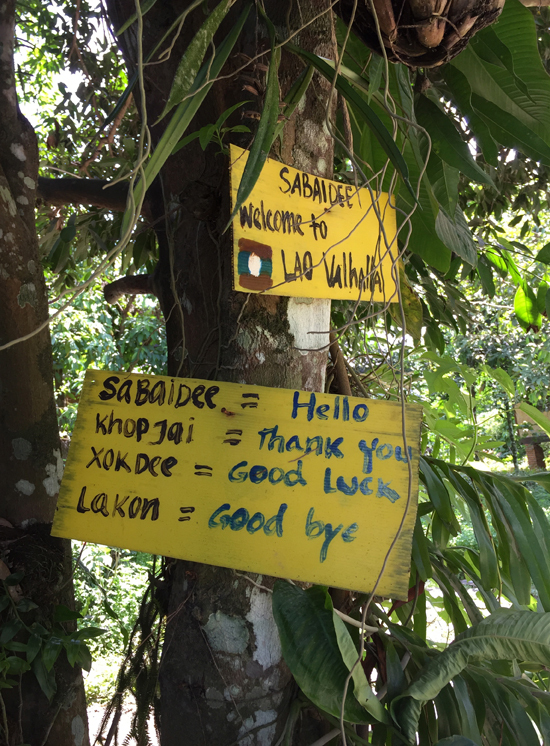 An excellent Lao language primary – it’s all you need. If you’re concerned about being so far away from town, there are bicycles for rent for 10,000 kip a day, but if you plan on doing any serious explorations, it’s worthwhile to rent a good mountain bike in town. Give advanced notice and Nout can pick you up from town or drop you off at the bridge at the end of your stay. This isn’t the place to stay if you want nightlife or a party. It’s the spot if you want a peaceful sleep, rural surrounds and a positive atmosphere. Lao Valhalla is a small place with a lot of heart. Where are you planning on heading to after Vang Vieng? Here are some spots commonly visited from here, or click here to see a full destination list for Laos.